Custom designed to fit each unique application. 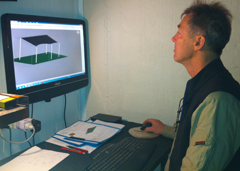 Use latest 3D CAD engineering software to design shade sails. Laser technology is used to cut sails, increasing accuracy and minimising waste. Sail City has won Specialised Textile Association national design awards in 2013, 2010 and 2009. Industrial quality shade cloth is used for all shade sails. 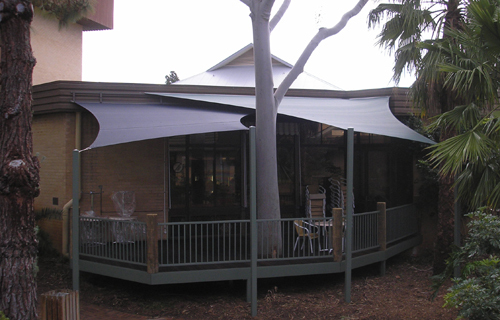 We manufacture shade sails from either Rainbow Shade, Polyfab fabrics or HVG Fabriocs. These companies offer a 10 year limited fabric warranty and a high to maximum UV protection rating. We offer these suppliers' complete range of attractive colours. PTFE thread, which does not disintegrate in the sun, is used. This thread also carries a 10 year warranty. 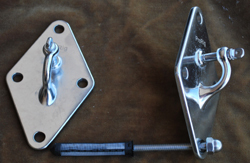 Sail corners are double reinforced for strength and durability. Hardware is attached using double layers of webbing. Hems are double lock stitched (as opposed to chain stitching) so they will not unravel should one section become damaged. Hems hold the continuous 316 marine grade stainless steel wire cable. Stainless steel wire cable is 316 marine grade quality. It is sewn inside the double stitched hem. This steel cable increases the strength of the shade sail and ensures proper tension and uniform shape over time. 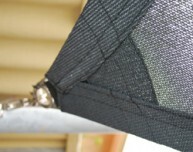 Stainless steel bearing in each corner (316 marine grade) of the shade sail allows the wire cable to move in the wind without chaffing the sail fabric. Wall fixings are 316 marine grade stainless steel and fixed by stainless steel threaded rods bedded into 2 pack chemical fixing agent. 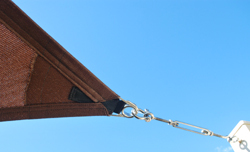 Shade sail posts are galvanised steel, primed and powder coated in a large choice of colours. Footing sizes are according to engineering specifications. You will be working with experienced, innovative consultants who plan, carry out and complete your project from beginning to completion. Sail City is an established and reputable company. 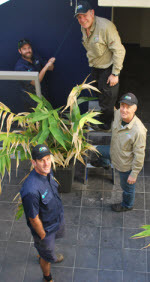 We have been operating since 2003. Our Consultants section of this site. We can manufacture you a DIY sail to your specifications. Phone Sail City factory or one of our consultants for advice.